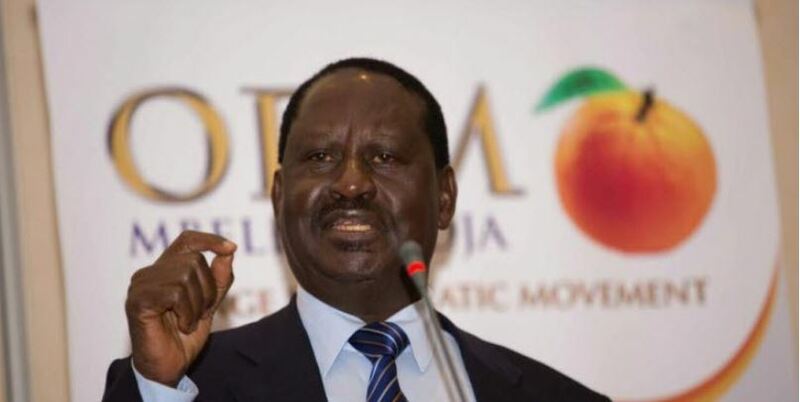 Former Prime Minister Raila Odinga has stated that he will not engage in 2022 succession politics but will instead focus on his new appointment to the African Union Commission. In a statement by his spokesman Dennis Onyango, the Opposition leader said he will focus his attention on building infrastructure across Africa and uniting Kenyans. “To provide the required leadership in this critical area, and in line with his previous pronouncements, Mr. Odinga wishes to reiterate that he will not engage in Kenya’s succession politics ahead of 2022,” reads the statement. Raila added that he will be operating from Nairobi where an office will be set up to coordinate his activities as AU High Representative for Infrastructure Development. “Since the position will require frequent travels particularly to foot-print member states and regional economic communities across the Continent, he will work with NEPAD offices in the various regions to coordinate his activities,” added Mr. Onyango.